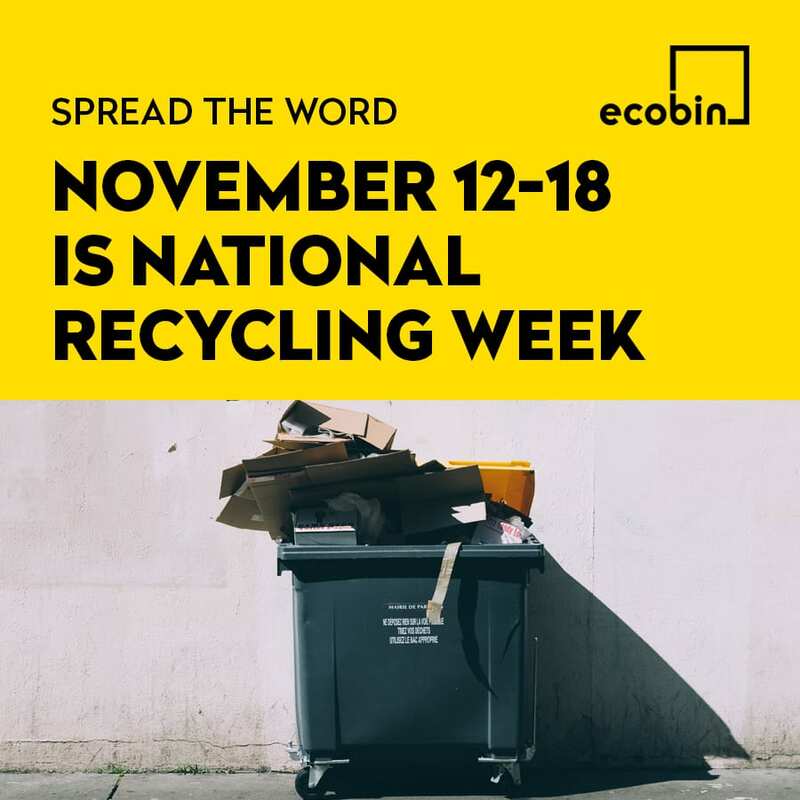 From Monday 12th November to Sunday 18th November 2018 we celebrate National Recycling Week. This is a week that we get particularly excited about at Ecobin HQ… after all it’s what we’re all about! National Recycling Week is a time where we can shine a light on the importance of recycling our waste in the correct manner, and how every small change that is made reduces items heading into landfill or our oceans, ultimately leading to the longevity of our planet. McDonalds, Starbucks and other service businesses have committed to phasing out the use of plastic straws in their restaurants and cafes. Soft plastics can now be recycled correctly through using bins in your home or office such as the Ecobin Soft Plastic Recycling Bins, and then the contents of the bins can be dropped off at the REDcycle drop off points at Woolworths & Coles supermarkets. Although it is great to see the changes we have already made, we still have a long way to go before we start to undo the damage that’s been done to our planet through our trash. It is so important to remember what items we can and cannot recycle – if you put the wrong item in your recycling bin you will contaminate the whole bin, and all your recycling efforts would have gone to waste! The Ecobin team have been recording a video a day this week to help everyone better understand what can and cannot go into our recycling bins, so if you haven’t already make sure that you head over to our Facebook page and check them out!